While the SBIG STL was a fantastic CCD camera and served the community well, we felt that with this failure, it was time for something new! This brings us to the new reborn iTelescope T12 V2.0! It will continue to use the Takahashi FSQ 106 ED, as well as the Paramount ME mount. However, it will now be using the amazing FLI MicroLine 11002 Grade 1 Monochrome CCD! This new camera will be a wonderful improvement over the old tech SBIG STL-11000M, the largest being that this camera uses a Grade 1 sensor instead of a Grade 2. Resulting in less noise and artifacts in raw data. It also offers other improvements such as ~60,000e- full well and 1000x anti-blooming to reduce over exposure of bright stars. You can see the full details of this camera here. Along with a CCD change, T12 has also switched to Astrodon 50mm Round Filters housed in an FLI CFW 2-7 Position Filter Wheel. It will continue to offer Luminance, Red, Green, Blue, Ha, Sii, and Oiii filters. 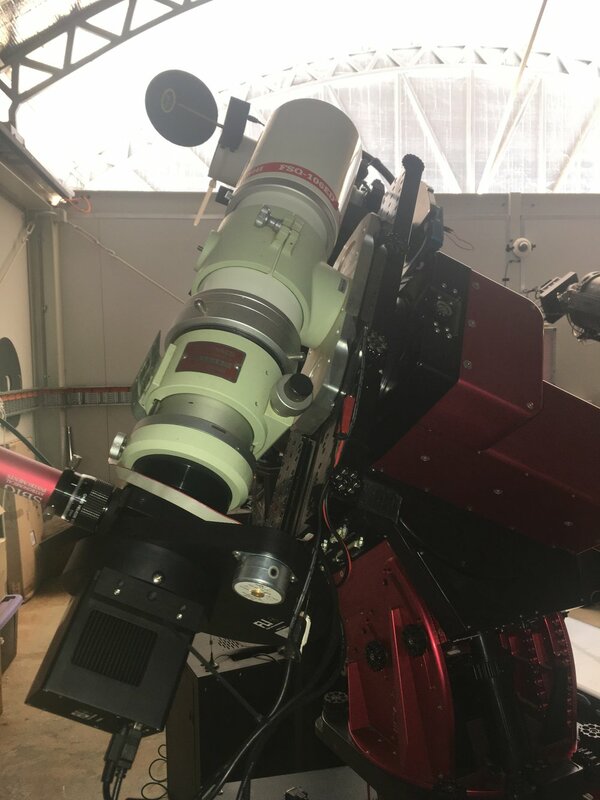 For guiding, the updated T12 is now using an Astrodon MonsterMOAG Off-Axis Guider with an SBIG ST-i Monochrome Guide Camera, which will be a great improvement over the internal guiding that it used previously. T12 can now track on its guide stars for very long periods with high accuracy. These changes bring T12 to the forefront of wide field imaging and we know our members will appreciate these upgrades with brilliant results.